The show will be available on the new streaming service Disney+. 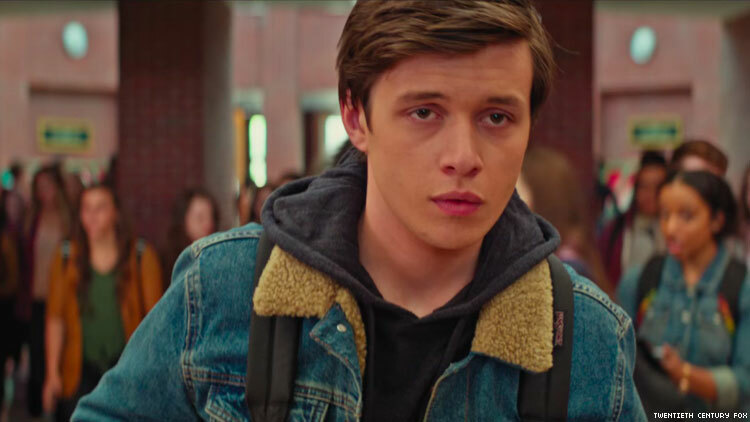 If you loved Love, Simon, well get ready to Love, Simon even more! The 2018 gay romantic comedy will be coming to the small screen as a series for Disney’s new streaming platform Disney+, Pride reports. Disney acquired the rights to the original YA novel Simon vs. the Homosapien Agenda during its takeover of 21st Century Fox. Right now, the movie’s original director, Greg Berlanti, who is also behind shows like Riverdale and The Chilling Adventures of Sabrina, is not attached to the television series. Right now, there are few details regarding the specifics. It’s not known whether the original actors will return or whether this will be a reboot with a new cast. And while the report says the series is coming soon, there is no date for production or release. Out recently reported that when Disney had taken over 20th Century Fox, it eliminated Fox 2000, the studio that brought you Love, Simon as well as Hidden Figures and The Devil Wears Prada. The move was a little worrisome as Disney has not had the best track record when it comes to LGBTQ+ representation. When the studio promised an “exclusively gay moment” in its 2017 live action Beauty and the Beast, the moment was a blink-and-you-missed-it dud. However, the studio has shown that it is open to queerness on the small screen: in 2019, a character came out as gay on the Disney Channel. Though it’s nice to see that Disney is going to have one gay show on its docket, let’s hope that they find other queer stories to tell beyond the very limited (white gay) scope of Love, Simon. CORRECTION: This story has been updated to show that the film's original director Greg Berlanti is not attached to the television series.